The Bearded Barista of Edinbur..
Tokyo Smoke: Coffee & The Cann..
Like fast-talking, witty repartee about life and indie-ish rock? Like coffee? Then you probably like the Gilmore Girls, a before-its-time lifecycle drama that aired on, I think The WB Network or something, back in the early 2000s. 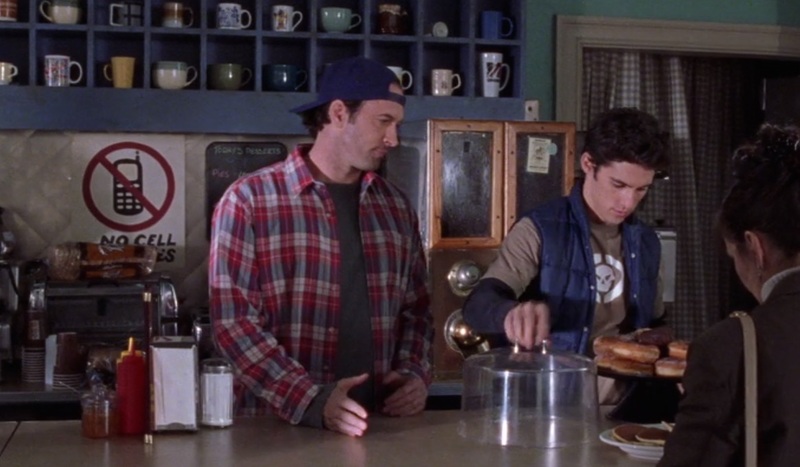 And as the Gilmore Girls fan you undoubtedly are, you know that Netflix is bringing back the early-2000’s fan favorite for a seventh season on November 25th. In preparation for this momentous occasion, Netflix is whipping fans into a Rivers-Cuomo-in-a-Tokyo-University-dorm-room level frenzy by transforming over 200 coffee shops into Luke’s Diners and giving away free coffee. The pop-ups coincide with the 16th anniversary of the show’s original pilot airdate. There will be at least one Luke’s in each state, and more than a handful of really nice cafes are getting in on the fun. Shops like Pour (Cleveland, OH), Reverie (Wichita, KS), and Chocolate Fish (Sacramento, CA) are all getting the Luke’s treatment, and there will even be a few cafes that you may have read about here on Sprudge: Panther Coffee (Miami, FL), Purple Door (Denver, CO), Dogwood Coffee, (St. Paul, MN), Method Coffee (Dallas, TX), and Indaba Coffee (Spokane, WA), to name a few. More information and a full list of participating coffee shops can be found at townofstarshollow.org. Get excited, your chance to be the third Gilmore girl is right around the corner. And don’t worry, I’m sure you are just as clever and funny as a team of seasoned writers, so you lightning-speed banter will surely be a delight for all the baristas working that day.